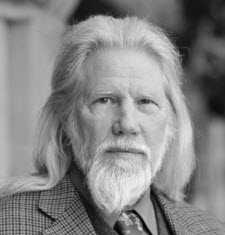 BlackRidge Technology, the leader in identity-based network and cyber security, is pleased to announce that its advisor Whitfield Diffie has received the 2015 ACM Turing Award for “critical contributions to modern cryptography” which he shared with Martin Hellman, emeritus professor of Electrical Engineering at Stanford University. Diffie has been a member of the BlackRidge Technical Advisory Board since 2012, actively advising the company on the practical use of cryptography in representing large identity populations, and on the important problem of establishing trust and accountability in corporate networks and cloud environments. Named for Alan M. Turing — the British mathematician whose 1936 paper "On Computable Numbers" set out the mathematical foundations of computing and who was a key contributor to the Allied cryptanalysis of both the well-known German Enigma cipher and Germany's higher-grade "Tunny" cipher in World War II — the Award honors computer scientists and engineers who created the systems and the underlying theory that have propelled the information technology industry. “I was surprised and giddily happy to share the ACM Turing award with Marty,” said Whitfield Diffie. “This is the third time the award has been given in cryptography, which recognizes both the tremendous utility of cryptography — everyone who goes online uses it every day — and the big contribution cryptography has made to theoretical computer science.” Diffie and Hellman were given the award for the discovery of public-key cryptography in the mid-1970s. “I am thrilled that this will enhance my ability to contribute to companies like BlackRidge Technology that are applying the principles of cryptography to securing internet computing.” Diffie said. “I particularly like BlackRidge. BlackRidge Transport Access Control doesn't claim to cure cancer or keep your snake from squeaking; it does one thing and it does it well: it allows you to reject unwanted TCP connections quickly and cheaply. This not only avoids wasting computer cycles on intruders, it prevents them from acquiring information about the implementation of your system." Diffie came to BlackRidge Technology from a brief stint as Vice President for Security at ICANN, the organization that manages those aspects of the Internet that we do not know how to distribute. Prior to its absorption by Oracle, Diffie was Chief Security Officer of Sun Microsystems, expounding Sun's security vision and the strategy to achieve that vision. A graduate of the Massachusetts Institute of Technology, Diffie holds an honorary doctorate from the Swiss Federal Institute of Technology, which regarded his work on public-key cryptography as the creation of a new field of science. Diffie has authored more than 30 technical papers, testified to both the U.S. Senate and House of Representatives on the public policy aspects of cryptography. He enjoys multiple honors including fellowships in the International Association for Cryptologic Research, the Marconi Society, and the Computer History Museum. He is a member of the National Inventors' Hall of Fame and won the 2010 Richard W. Hamming Medal of the IEEE. ACM will present the 2015 A.M. Turing Award at their Annual Awards Banquet on June 11, 2016 in San Francisco, CA.